Attorneys tell NBC 7 between the controversial government surveillance program and the new “Remain in Mexico” policy, the challenges of the job could turn attorneys away from helping those in need at the border. Attorneys tell NBC 7 that news of the surveillance program and the challenges of the job could turn some away from helping those in need at the border. NBC 7 Investigates has identified another U.S. Immigration Attorney named as a target in a secret surveillance program tied to the migrant caravan. 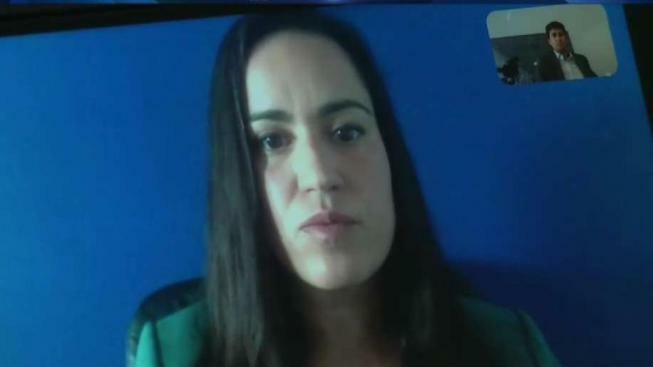 Erika Pinheiro, an attorney for the immigration law center Al Otro Lado and U.S. citizen, said the Trump administration’s actions have left her essentially stuck in Mexico. "It did not surprise me," Pinheiro said, upon learning she was listed in the surveillance program's database. Documents obtained by NBC 7 show agents listed Pinheiro, along with another attorney she works with, as targets for increased scrutiny when crossing the border. According to the database documents, agents were waiting for Pinheiro in January to cross the border to interview her. On Thursday, a spokesperson for U.S. Customs and Border Protection said the agency compiled the list of 59 individuals tied to the migrant caravan because they “may have information” related to Tijuana border clashes from November 2018 and January 2019. But Pinheiro said she was in New Jersey with family during the late-November incident and at home with a sick baby during the January clash. Ironically, Pinheiro said she was interviewed by journalists following the New Years incident, denouncing anyone who encouraged immigration activists to storm the border. “We saw how it was really unsafe for the children who were present,” Pinheiro said. Pinheiro is not alone. Al Otro Lado Refugee Director and attorney Nicole Ramos is also listed as having an alert placed on her passport through the surveillance program. In addition, agents created a dossier on Ramos, including personal details on the car she drives, her mother’s name, and her work and travel history. “To think the government is suspicious of us just for doing our jobs is very troubling,” immigration attorney Jonathan Montag said. At the end of January 2019, the administration implemented a new policy that said those seeking asylum must stay in Mexico as they wait to go through immigration courts. Montag said between the controversial government surveillance program and the new Trump Administration “Remain in Mexico” policy, the challenges of the job could turn attorneys away from helping those in need at the border. “It’s really scary that it has come to this,” Pinheiro said. “That they’ve started targeting U.S. citizens." Pinheiro agrees with Montag that there may be a chilling effect for some border attorneys, but she said she’s emboldened to continue fighting for asylum seekers. “Anyone who opposes these policies should be afraid that they’re next,” Pinheiro said. On Friday, in a letter to the Department of Homeland Security’s Secretary Kristjen Nielsen, Senator Richard Blumenthal asked for more information on the surveillance program and raised the issue of attorneys being targeted by border agents. “While this administration has a disturbing history of harassing immigration attorneys, these lawyers serve a critical public function,” Blumenthal said.